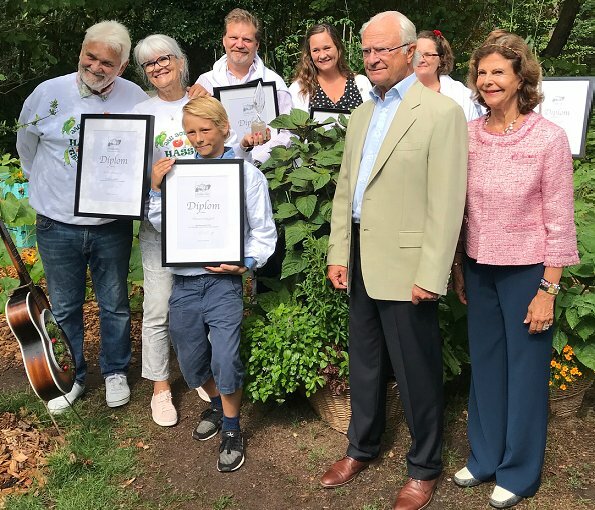 On August 11, 2018, King Carl XVI Gustaf and Queen Silvia of Sweden attended award ceremony of Solliden 2018 Themed Gardens exhibition and presented awards to this year's awardees. 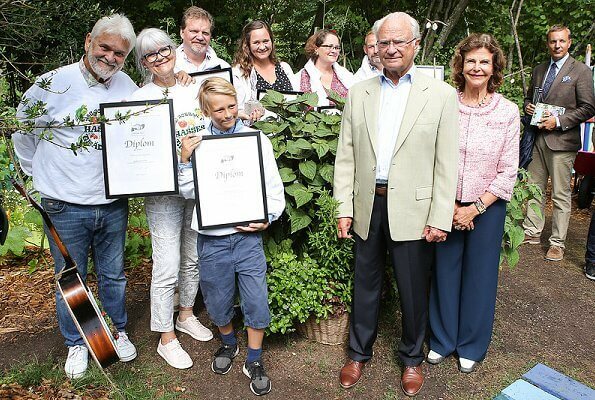 In the Solliden best garden contest, two awards are given as Solliden award and Visitors award. 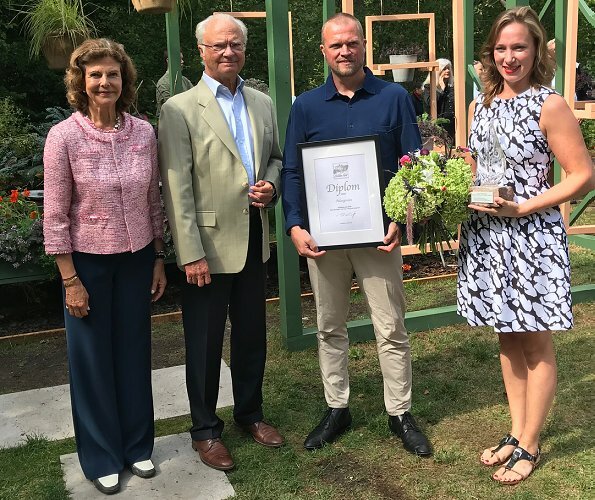 Solliden award is the biggest award and selected by the jury and given to the best garden. 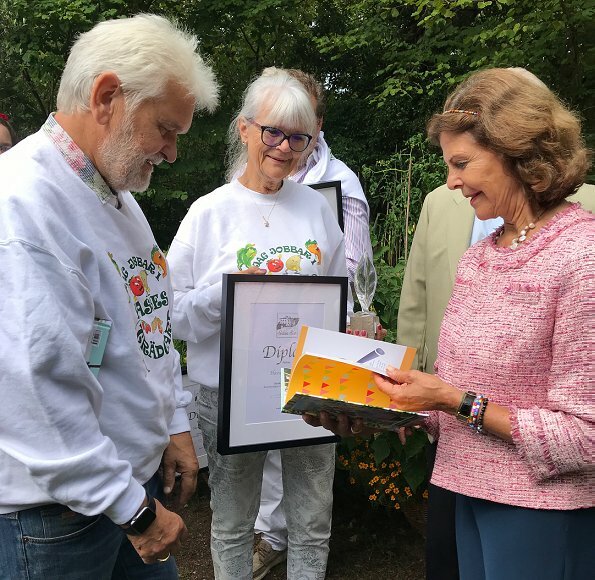 The awardee of Visitors award is determined as a result of voting of visitors between the dates of July 1 and August 9 and visitors vote for the garden they like the most. Wow! Silvia looks really summery in her pink jacket and bright colored hair!